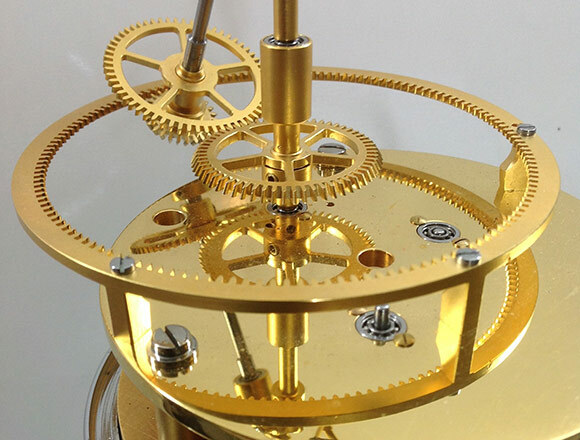 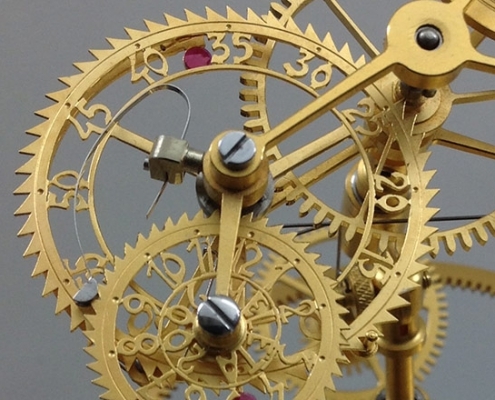 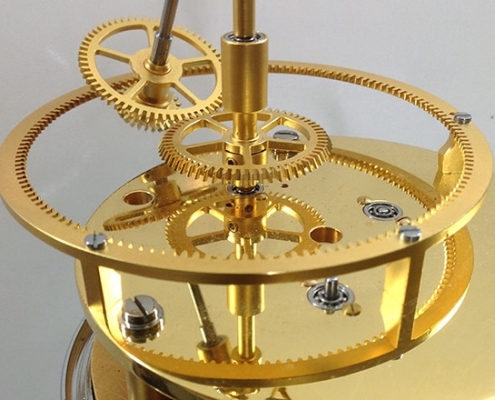 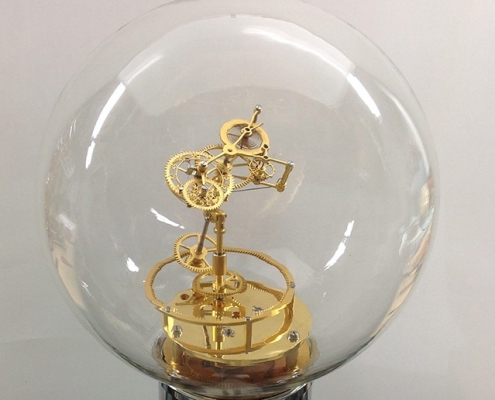 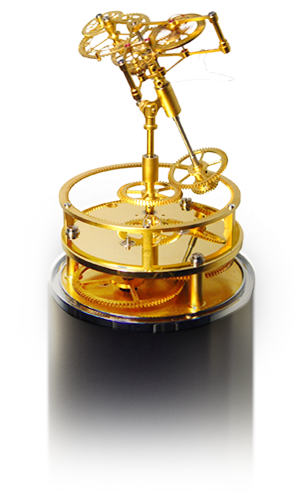 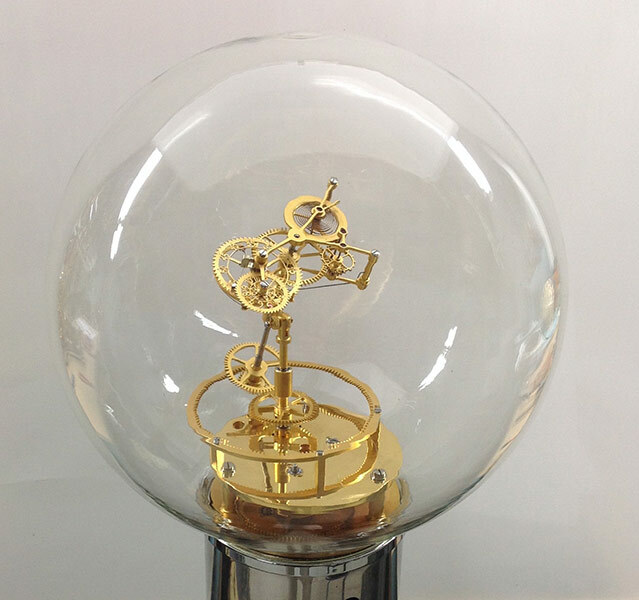 The tourbillon cage can be seen at the top of the oblique axis, which is powered by a weight housed inside the base. 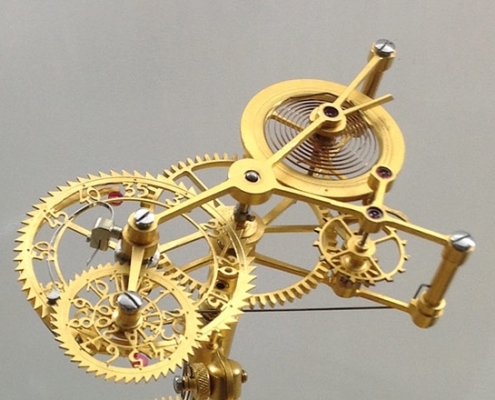 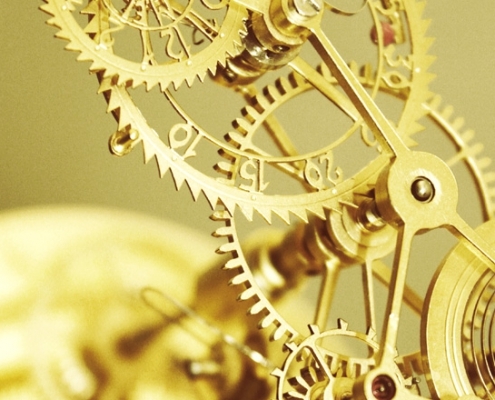 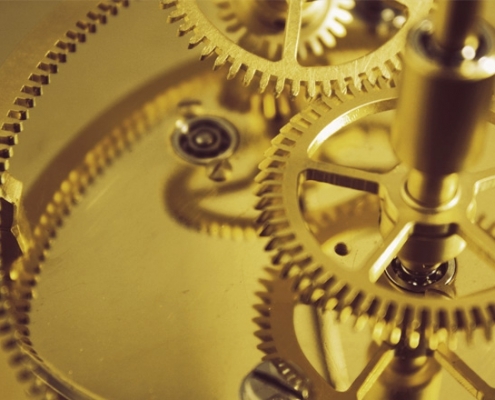 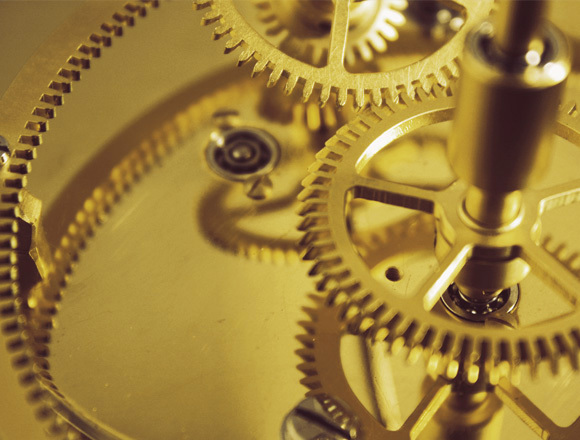 The cage contains the escapement group and the minutes and hours indicators. 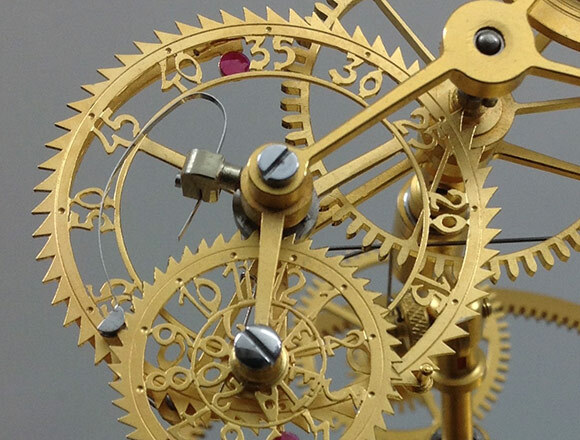 The intermediate wheel turns the oblique tourbillon axis clockwise inside the inner toothed planet wheel, thereby ensuring the tourbillon is at the optimum impact angle at all times. 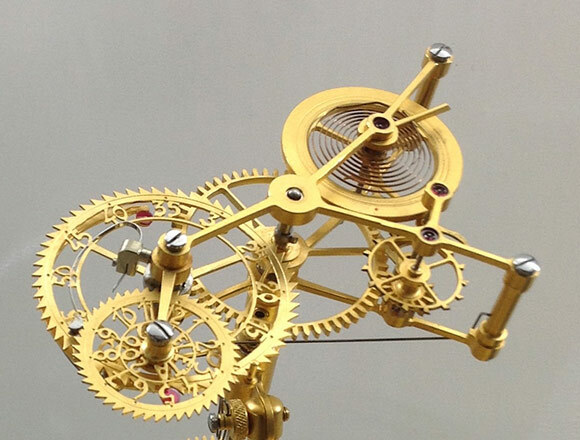 The excess weight in the tourbillon cage keeps the escapement group in motion, while the minutes and hours continue to be displayed by means of the interlinked oscillating weight and dial.